Top-rated Reliance IndustriesNSE 1.80 % added some much-needed sparkle to an otherwise sluggish debt market on Diwali, raising about Rs 3,000 crore in bond sales Tuesday. Those papers offered 8.95% with 10-year maturity at a time when investors are mostly seen shying away from making new investments due to liquidity concerns. ICICI BankNSE 2.43 % has helped arrange the issue as it initially subscribed to papers on the electronic bidding platform. 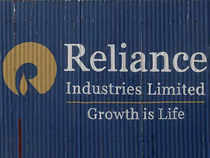 Later, top mutual funds and insurers were seen buying the long-dated Reliance papers from the bank. “The company has obtained fair pricing for the bonds. Yields could be about five-six basis points higher than its secondary levels,” said a domestic investment banker, who was not involved in the fund raising. Capacity additions and higher utilization could see Reliance’s consolidated operating profit rise 18% in FY19, the management hinted earlier in October.